What do genes look like? Because A always bonds with T and G always bonds with C, one side of a DNA sequence is comple­mentary to the other. DNA replicates by splitting down the middle. Each original molecule is like a template. A comple­mentary molecule forms along it. Erwin Chargaff found that the amount of adenine in DNA is equal to that of thymine, and the amount of guanine is equal to that of cytosine. In the lab of Maurice Wilkins, Rosalind Franklin created X-Ray images of DNA. These suggested that DNA had a spiral shape. James Watson and Francis Crick later used this research. Watson and Crick built on the research of others and concluded that DNA resembles a double helix shape. Upon discovery of this, Crick is said to have exclaimed, "We have discovered the secret of life! " DNA is read in one direction only, from one end to the other. Like a book . What makes up the alphabet of DNA?  The alphabet of the code is made up of the four bases: ad­enine, th­ymine, gu­anine, and cy­tosine. A, T, G, and C.
How does DNA tell how to make proteins? Groups of three bases code for specific amino acids. The amino acids form a chain to form a protein. Proteins act as chemical messengers and help determine your traits, such as height. They are the reason for the multitude of shapes, sizes, colors, and textures found in living things. DNA is fed through a ribosome. Transfer molecules drop off amino acids at the ribosome. The amino acids join together to make a protein. What are the types of mutation? Substi­tution: Base pair replaced with a different, wrong one. Anything that causes a mutation in DNA. A chart used to trace a trait back through multiple genera­tions. Organisms with desirable traits are mated to produce a new breed. Allows scientists to transfer genes from one organism to another.